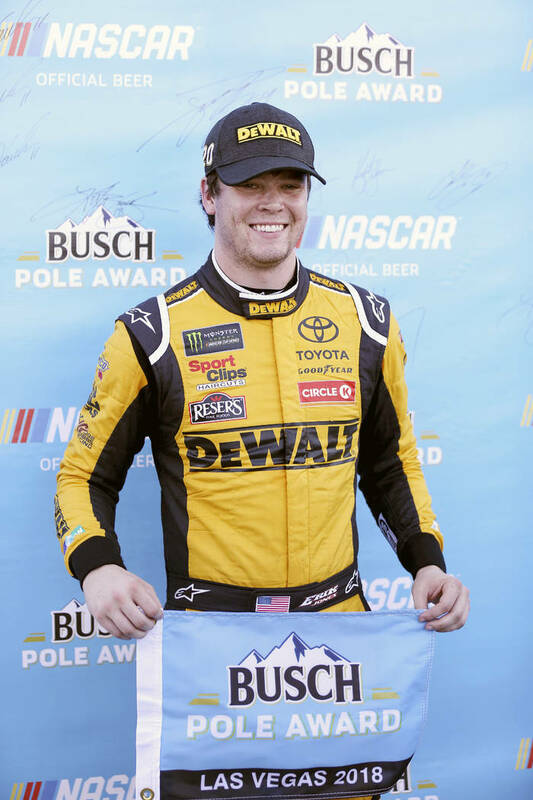 It was hot and slick during Friday’s pole day qualifying for the inaugural South Point 400 at Las Vegas Motor Speedway with That Jones Boy, as it now reads on Erik Jones’ race car, being the hottest and slickest of all. The 22-year old driver became the youngest pole position winner in LVMS history by posting a fast speed of 188.121 mph in the No. 20 Joe Gibbs Toyota. Jones was a whisker quicker than Joey Logano (181.101), who will start Sunday’s race on the outside of row 1. Denny Hamlin and Las Vegas’ Kyle Busch will start third and fourth with Kevin Harvick and Ryan Blaney rounding out the top six. Kurt Busch will start eighth, outside of Chase Elliott in the fourth row. 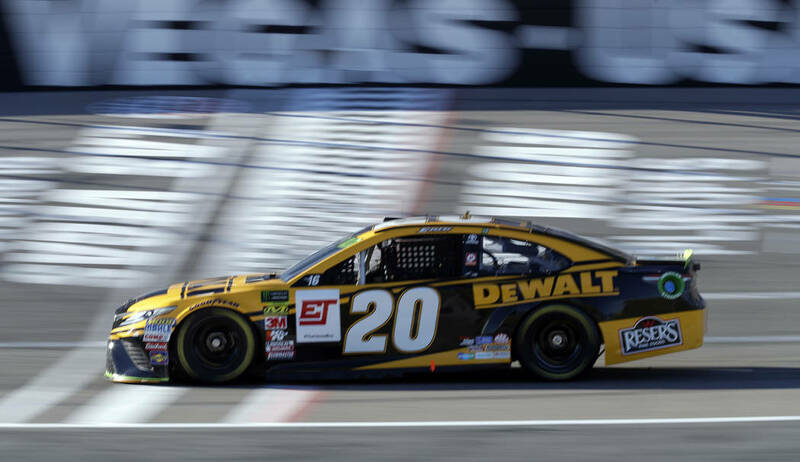 The fastest 11 cars were playoff qualifiers, with Jamie McMurray (12th) and Ricky Stenhouse Jr. (14th) being the only nonplayoff cars to crack the first nine rows. 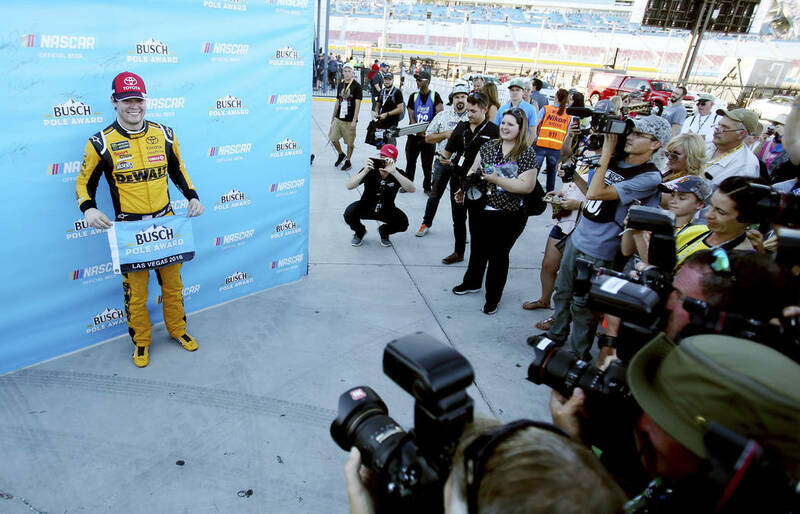 It’s a trend that Logano expects to continue. 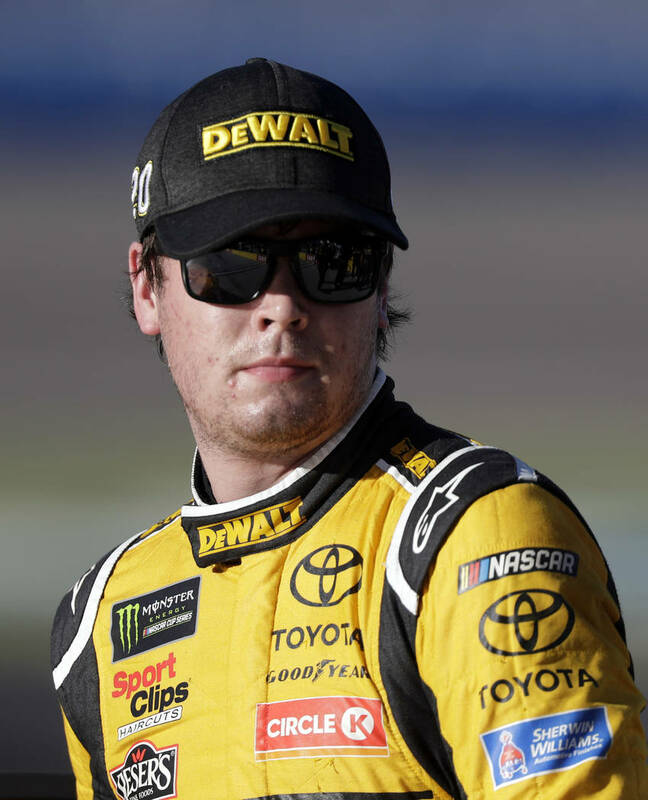 “Cars that are in the playoffs are the best cars in the field,” said the driver of the No. 22 Team Penske Ford. “So you would expect them to qualify up front. They’re gonna run up front and win a lot of races. It’s going to be really odd to see a nonplayoff car win a race in these next 10 races. It shouldn’t happen. — Cup series: Practice, 10 a.m. and 12:30 p.m.
— Xfinity series: Qualifying, 11:10 a.m.; DC Solar 300 (200 laps), 2 p.m.